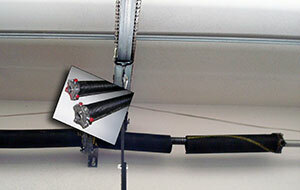 Garage door springs are an essential part of garage doors. They are needed to make the door go up and down. The thing is that springs can be dangerous to repair or replace. They tend to snap and can injure someone very badly. This is the main reason why you should leave their garage door repair, installation or replacement to the professionals of our company. The contractors of Garage Door Repair Placerville are well trained and can repair or install springs safely and efficiently. When it comes to springs, there are two different kinds. There is the torsion spring and is the most dangerous to change on your own. Torsion springs are for heavier doors and will usually last about 10,000 cycles. They will work for manual or electric operated doors. Lightweight door panels would need extension garage door springs, which are located on both sides of the door. There is one on each side. Although these are for lighter doors, they can lift up to a 400 pound door and are appropriate for both manual and electric systems. They again can be dangerous to change or repair. If you are having problems with overhead door springs, call our company today and let one of our technicians come out and take care of them for you. We have all the training necessary to take care of springs in a safe way. We know everything there is to know about springs. Therefore, we guarantee exceptional technical work whether you need to install new springs, repair, adjust or replace the existing ones. Our company is equipped properly and can provide top quality repair parts or even consult you as to which garage door springs are appropriate for your mechanism. We guarantee immediate response to your calls and promise emergency torsion and extension springs repair and replacement. Our technicians come prepared to finish the job quickly and in one visit and we are familiar with springs for both residential and commercial use. 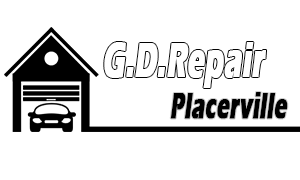 Get in touch with our specialists for spring maintenance or emergency repairs today!